Lois Lerner sent out this email on June 29, 2011 just three weeks after the House Ways and Means Committee asked the tax agency was targeting conservatives. Lerner knew that no one would believe that six employees under investigation had lost their hard drives in a computer crash in the same month. 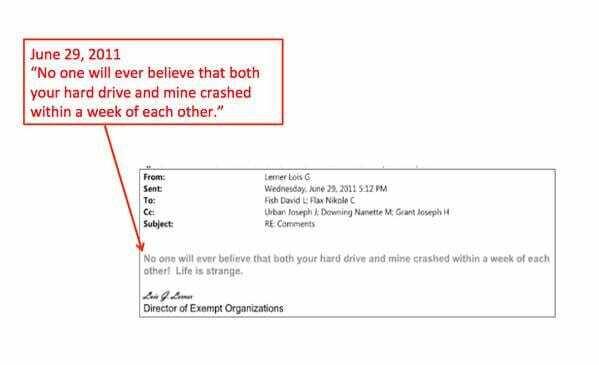 Lois Lerner’s computer mysteriously crashed, was thrown out and recycled 10 DAYS after House Ways & Means Chairman Dave Camp asked if the IRS was engaged in targetingon June 3, 2011. 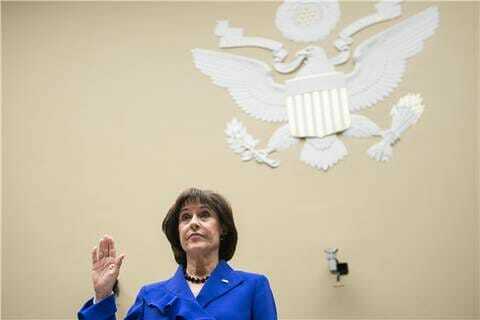 And six other top IRS employees involved in the targeting scandal also lost their emails around the same time. Lois Lerner’s former far left FEC colleague April Sands lost her emails in a mysterious computer crash, too. Lerner knew no one would believe that they all lost their hard drives in the same month – because it was statistically impossible.